We are huge fans of Thanksgiving, so you won’t see a lot of Holiday posts until after that point, unless they’re amazing and you need to see them like, now! A Hip Handmade Holiday by the Craft Pack is one of those things. A downloadable e-book with 150+ interactive PDF pages, 18 crafts, 9 instructional videos and 100+ downloadable stickers, tags and printables. The designs have the Small Fry stamp of approval; they are all beyond darling, while still maintaining their cool factor. We are all excited to make these things for the Holidays, and they have everyone on our lists covered: Gifts for Gents, Gifts for Ladies, Gifts for Four-Legged Friends, Gifts to Treasure, Gifts for the Home and Gifts In a Hurry. Lumberjack Breakfast, how cute would it be to throw a breakfast party with your kids and their friends? We’d probably make them wear flannel and fake beards, and then have a cuteness overdose. 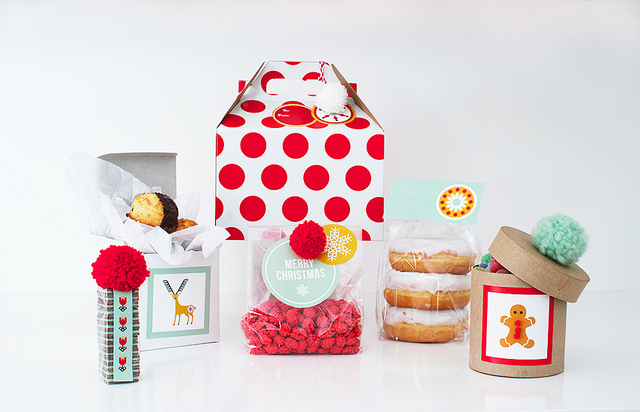 There are so many more crafts to try, A Hip Handmade Holiday is a genius little piece of art. Go, buy, and love! And congratulations to The Craft Pack for such a huge success! Small Fry loves you. Nicole, Alison, Jenna, Susan and Emily. 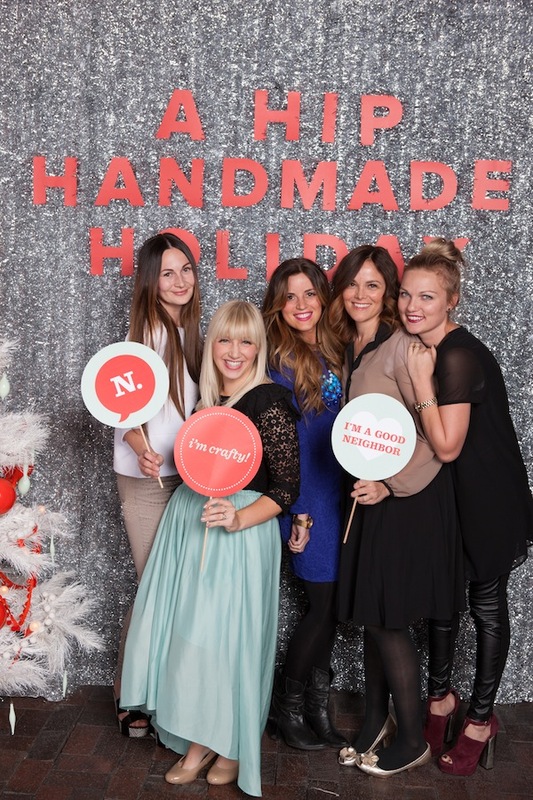 Buy A Hip Handmade Holiday here! This looks amazing! 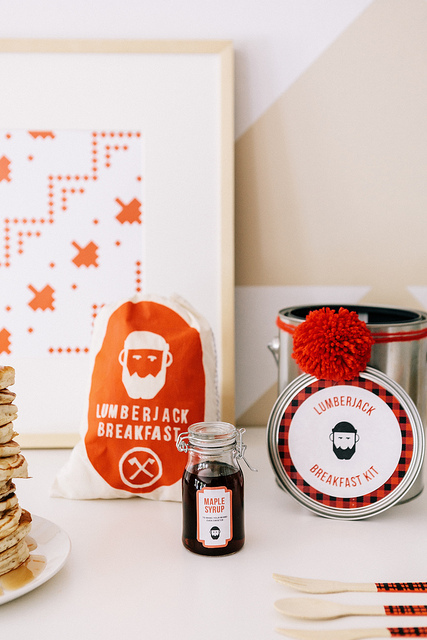 Lumberjack breakfast kit…I really can’t think of anything more awesome than that!! em, you’re the best, really. thank you so much for coming to our blogger weekend and for filming this video, you’re a babe! all ya’ll are genius women, seriously. can’t wait to start Christmas crafting with that fab ebook! and the party was off the hinges, yo. Lovely! I’ll be purchasing the book for sure. Emily where are those amazing shoes from? Please share! They are Dolce Vita! Thank you! Such great, cute and modern ideas. Where can we find the red art pictured w the lumberjack breakfast.